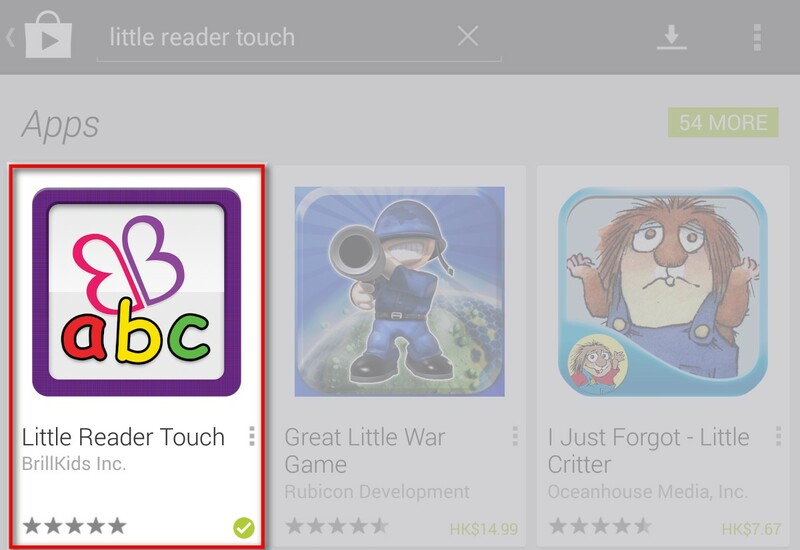 You can install Little Reader Touch on your Android tablet or Android phone simply by downloading the app from Google Play in your device (we recommend that you download Little Reader Touch using a WiFi connection). Open your device and launch Google Play. Do a search for "Little Reader Touch" and select the app. In the window that opens up, tap the Accept button to start downloading and installing Little Reader Touch. Once you're done installing Little Reader Touch, you may already start using it!